Thickness: You can choose +/- 3.8mm or +/- 6mm. 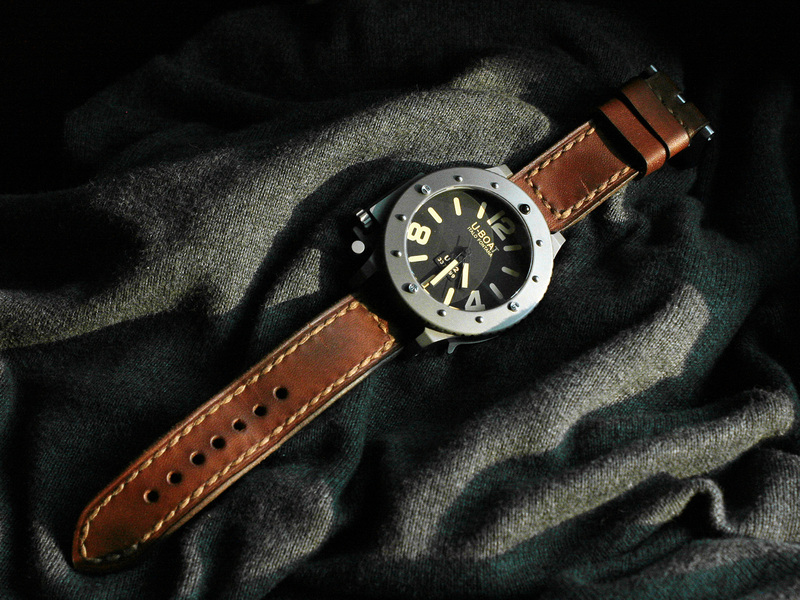 Style: Elegant vintage with a little cuts effect on leather, you can ask without it. 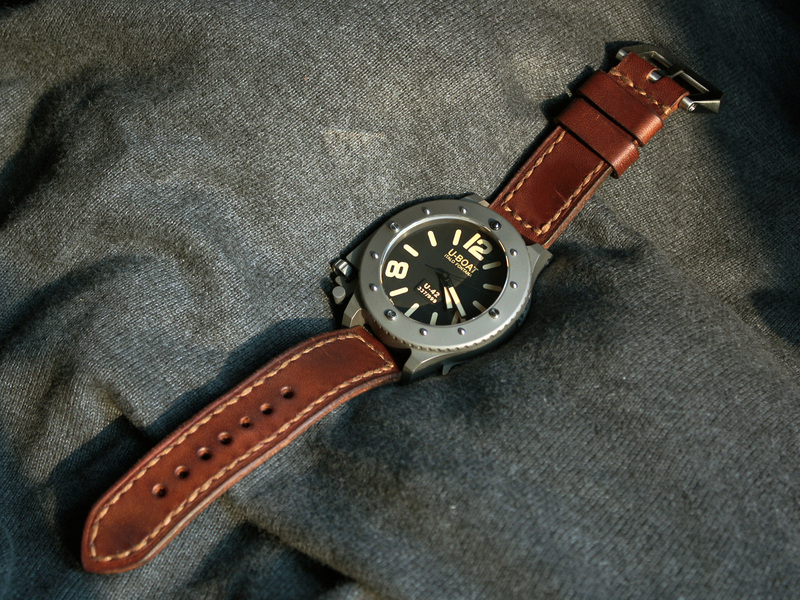 Waterproof: Yes, and it will develop even more beautiful patina after swimming.